Inspiration is a strange thing. I've been wanting to make a plus quilt for ages, but it wasn't until last week that I needed to make one. What changed? I wish I knew! I have admired, pinned, and favorited several plus/cross quilts over the years, but all of a sudden a layout and a color combo came together in my head. Once I had this idea, it wouldn't let up. I've been cutting, sewing, staying up too late and slugging coffee like a woman possessed. This is an admittedly odd grouping of color and I love it's quirkiness. 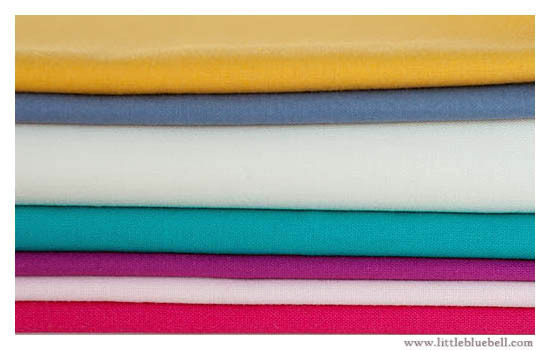 I chose the solids first from Pink Chalk Fabrics, and then I picked the print for the backing. It's not an exact match, but I loved the paisleys so much I had to have it. I couldn't wait for the fabric to arrive so I could get started. 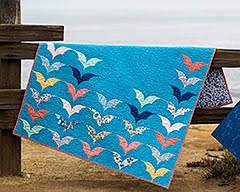 -Scroll down to see Rashida's beautiful quilt from her book, I Love Patchwork. 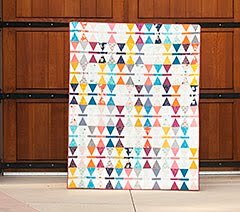 -The inspiration for Rashida's quilt came from this quilt by Maritza Soto. -You *must* see this quilt from the Jonathan Holstein collection, which had to have been the inspiration for the Alabama Quilt by Folk Fibers. Ok, I'll stop linking now. 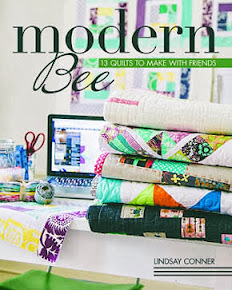 There are so many inspiring quilts! 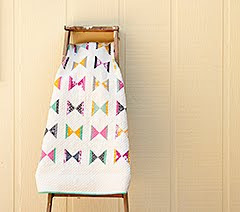 LOVE these fabrics together! I love the plus quilt too and have so far only made a pillow. It's suprisingly time consuming to get the lay out right! You're right, the layout is key! It's kind of involved for a bunch of squares, but totally worth it. inspiration can take over with a rush can't it---so wonderful! 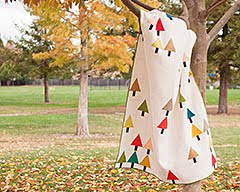 Excited to see your colors come alive in a quilt top! 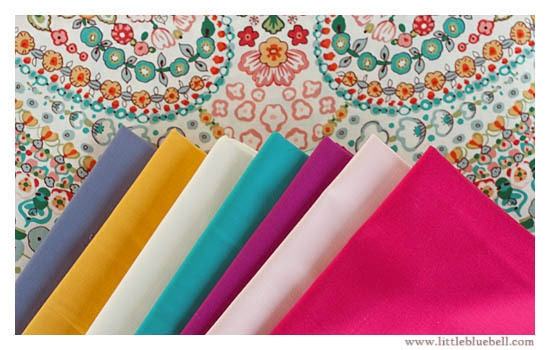 What beautiful jewel toned fabrics you have chosen. love the colors!!! 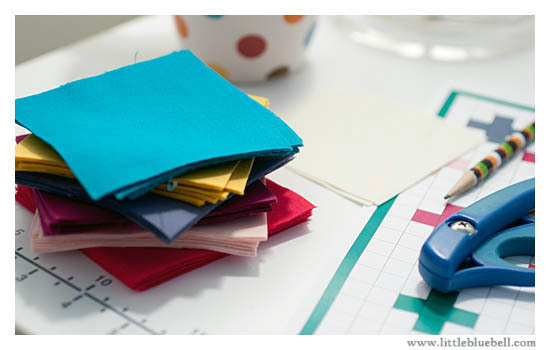 what are you using to design your quilts? is it just graph paper?? Scrappy Trip Along: A Top!